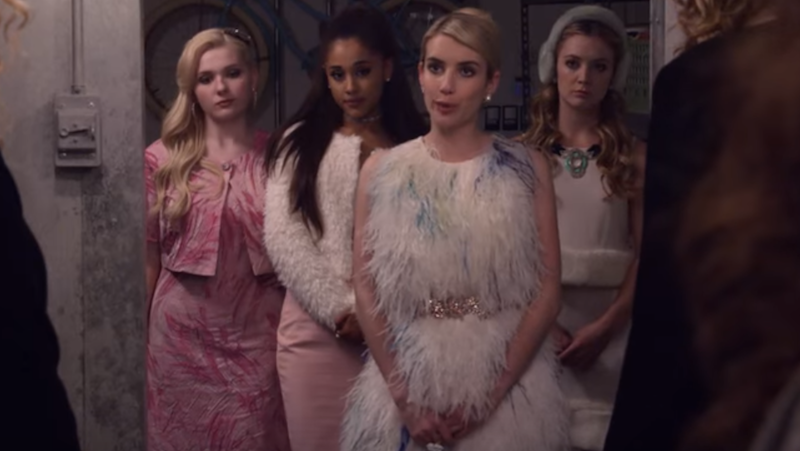 Ryan Murphy’s comedy-horror series, Scream Queens, is getting a second season, and it’s not taking place at a summer camp as previously speculated. This time, the setting will be a hospital filled with cases of strange medical disorders. Unlike with Murphy’s show, American Horror Story, the actors will be returning in the same roles. As for who is returning, Deadline reports Jamie Lee Curtis will return as Cathy Munsch. Lea Michele and Emma Roberts have both tweeted about returning as Hester and Chanel, respectively. Abigail Breslin, Keke Palmer and Billie Lourd are also expected to return. I have CTRL+F’d this Deadline article three times, and unfortunately, there is no confirmation of Niecy Nash returning as Denise “Hashtag Cahoots” Hemphill. I still have a lot of hope, though. The first season finale showed Chanel (Emma Roberts), Chanel #3 (Billie Lourd) and Chanel #5 (Abigail Breslin) taking up residence at a mental institution. I remember it looking a lot like AHS’s own second season, Asylum, but according to Entertainment Weekly, Fox’s co-chairman and CEO says it will be different.